A couple of weeks ago, I sat down with Rubens to have a discussion on behalf of the Nicola St. Claire. In anticipation of his show we discussed, his work, his family, painting, music, culture and a whole realm of things that orbit his thinking and practice. I've had the chance to chat and drink tea with Rubens before, but we’ve never spoken at such length. He’s a great conversationalist, as you’ll see in our discussion below. We hope you enjoy it. The St. Claire So, when you moved from Brazil you moved to Westchester [NY]? But it was a really great spot? Rubens Ghenov: It was, it was a really good spot because it was really mixed. In retrospect to the area that I later moved, it felt closer to the milieu that I came out of. Brazil is really ethnically mixed. TSC: With people from all over the world going back generations and generations ago, right? RG: Yes. People intermarry very much faster and from a long time ago, whereas in America we have this idea that it is a melting pot, but it's really not melted. TSC: When I lived in the Italian Market, I was a surprised to hear a lot of people still speak Italian. It's really cool. RG: Yeah it is great! TSC: But, I know exactly what you mean. It still is the case that the Italian Market is over here, and Fishtown is over here, for many, many generations now. RG: And it is interesting to see. When, since the Cambodian and Vietnamese Families have come to South Philly right around where the fish market is, if that will get mixed. In Brazil, people have been European people, people of African descent, African people, people of European descent...I had a friend who's dad was Japanese and his mom was Brazilian. He totally looked Japanese. Barely got his mom's genes on his bones and his name was Marcello which is a high Italian name. And, if you asked him what he was he would say, “I'm Brazilian.” No question. He never had to say, “I'm Asian-Brazilian,” or, “my mom is this--my dad is that.” And that metabolism of the mind made a lot more sense for me when I came to New York. At that time, I couldn't speak English so I didn't know any of the things that might be happening. 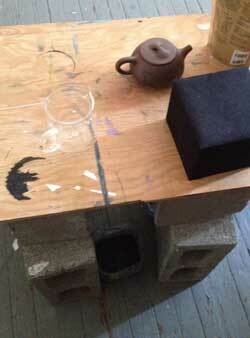 So, (pouring tea) what ends up happening, is that, once I lived there, I felt great. Because, not only were the students accommodating, but the students were also used to having people from other cultures around. All the Spanish speaking kids would try to talk to me in Spanish, as if I understood Spanish. I was like, “Yo, this sounds a little bit like home, but I can't understand.” It took me a while. TSC: Were you like, “I'm gonna try to talk back...”? RG: I would sometimes respond in Portuguese and they'd be like “I know ella, but I don't know the other words in there.” (laughing) Then I moved to this little area that I still dislike today, north in the Southeast of PA, called Quakertown. It's this little, little town before you get to Allentown, and I went to school there. It was not only homogenous but it was very racist and insular. And insular for no reason at all. The history of that town was that of working, working, working, come home and shut off. At least, that is what it was like when I moved there and that was really terrible. I lived there throughout my whole high-school career. It was four years in there, which is a lot longer than when I lived in New York. Going to Tyler, then, was stepping back into that relationship I had had in New York, where there are people coming from different cultures, and now I was closer to the city. When I went to Rome, that's when I went back to Brazil, in a different place. I felt like the pace of life was a lot closer to that which I had had in Brazil, where people walk and talk, where people drive like crazy. Where people eat really good and they know what they eat because they know where the chef of the restaurant that they went to, where he or she buys the food. TSC: And [in Rome] they spend a long time eating. People always talk about how Americans eat so much food. We do and we don't. I think we eat a lot of one thing, in a really short period of time, a couple times a day. There, I don't even know how they do it. When I was there, there were meals where by the time we were done, I was totally full and completely tired. It's great, but it is definitely over a long stretch. It is kind of funny that we are talking about this because I was looking at your work and I was thinking of this idea of metabolizing but in the form of a kind of metaphor, where things are becoming part of other things but still keeping certain kinds of qualities. When those things then become become metabolized they are in service to different sets of ideas. RG: That conversation about metabolism is something that I am constantly thinking about. I think it was Churchill who said that we build our buildings and then our architecture changes us. Before that space was made we would have not opted to act in that way. TSC: That is one of the things I was thinking about with your work, about architecture and shape and line and color and these things as repositories for history or emotion, and how it becomes apparent even though you are not being explicit. TSC: Well, I was looking at your work online and then at that piece you did for Title-Magazine with all of the things that you like, especially the cover of one of the books that you had up there. RG: That book cover is dope, right? TSC: Yeah, I love that. I am a sucker for that era of book design. RG: There is a new one by that author. I actually got that book for a class that I’m going to teach at Tyler. RG: For me, I love that writer. TSC: What is her name again? 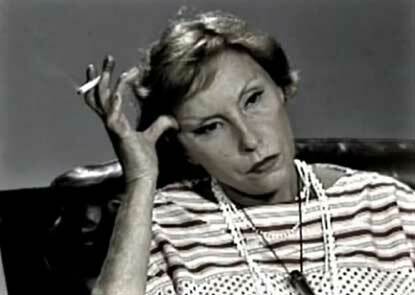 RG: Her name is Lispector, Clarice Lispector. She wrote this book called The Hour of the Star. That is the English translation. Any book that I’ve read so far by her, you basically start with some sort of prose going on. There’s a conversation with herself about her being a writer and then her trying to get to talk about the story. As she’s trying to talk about the story she goes back and starts to apologetically say why she’s talking this way about the story, because this is the writer that she is. And then you find out that the writer isn’t a woman but is a man. A man in his forties or, you know, middle aged talking about a young girl who is from the north of Brazil and he is from the southeast of Brazil and Clarice is looking at this triangle. How does she fit into the girl and how does she fit into the guy? So, she had all these layers about knowledge and information. TSC: So, she may have read this or that, but that’s not what she is talking about? She is talking about this other thing that has come about now? ME: I feel like we are going to have to get out a thesaurus here and look up other synonyms for metabolism. RG: Did you know that the Metabolists were a group of Japanese architects from the 60’s? RG: You should look them up. A lot of the architectural-I’ll use the word program- for some of the things that I think about. I think a lot about the Metabolists. 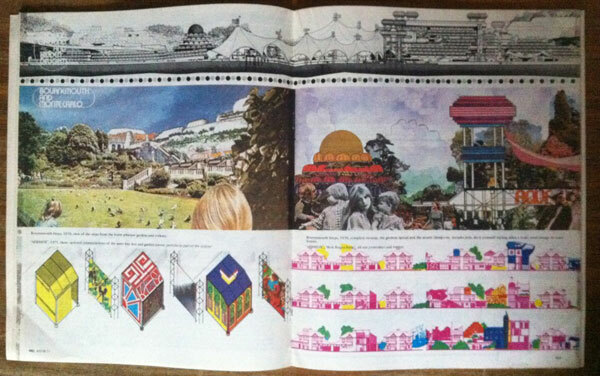 I think about Archigram, the British 1960s architects. Superstudio is another group that did a lot of things that were, in their idea, sort of utopic. Archigram was actually a bit more capitalist and the Situationists were total socialists. They shared an aesthetic with each other and they, I think, had conversations with one another, but their political base was totally different. Archigram didn’t wear (necessarily) capitalism on their sleeves, but they definitely were, they believed in the idea of marketing. And I'm entering into them via the visual history of this architecture. TSC: When did you get into this? RG: I started thinking about architecture when I was in Grad school. I made this one painting that I said, “I want this painting to sort of be about architecture because architecture is the space that we human beings built to protect, to shelter, also to decorate, to live, to eat, you know? Enjoy, make love, to make parties.” You know what I mean? All these things all in this little box. And I was thinking about jewelry box. It’s even a smaller component but it’s a micro of that macro and it shares somewhat the same metabolism. That’s what that box is for, to keep bejeweled things. TSC: And to organize them in this way that is really very meaningful. Thinking about where you put this ring or that piece. Was it in your family? Did someone give it to you? Growing up, my grandfather from my mom’s side of the family was a minister. A Baptist minister and he was a navy professor, so he was a teacher both ways. My grandmother from my dad’s side was a seamstress and her husband - my grandfather from my dad’s side- was a tailor. Actually my grandmother, from the baptist minister side, was a stay at home mom who was really wild. 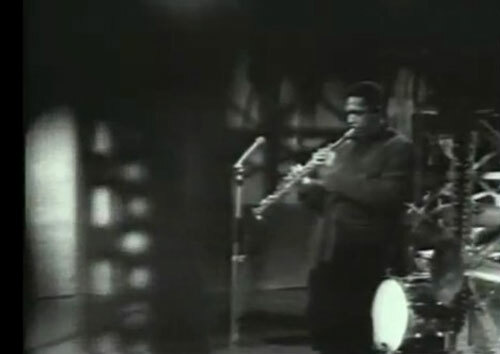 Wild in the sense that she loved samba. A baptist minister in Brazil whose wife loves samba is sort of a precarity. You know....What the hell was she doing? TSC: But then she is also her person right? TSC: Especially for minister’s wives and really for anyone, but that is kind of the example. That person is their own person and the minister loves them for a lot of reasons. RG: Yes, a LOT of reasons. I think that is the thing about Brazil when talking about spiritual things. People are much calmer because that life is also a lot calmer. It’s not as black and white as America is it’s not as Republican/Democrat as it is here. There is a communist functioning party in Brazil that gets, you know, close in elections. A page from an archigram book. RG: So, in thinking about the architecture and the jewelry box... My dad was a psychologist and a teacher, my mom was a social worker. The two of them owned a school in Brazil and that is where I went to school for the first seven years of my life. I was always around bookshelves with tons of books, at my grandparents’ house, at my parents’ house and at the school. I really loved that organization of these things because when you organize a bookshelf you are organizing volumes of knowledge. You are cataloging that which you’ve read, that which you hope to read or that which is somewhat of an inspiration to you, or things that maybe are just laying around that people gave to you and you kind of forgot. RG: Exactly. And in the book shelf too there are trinkets of decoration. There is a little piece of rock that you think is good looking, there’s something that speaks to you, there is a portrait of a family member and a frame that is the way that it is because it is really old or it’s really modern, it’s mid century or it’s whatever. That to me, helped me to inform my painting and what I wanted to talk about. I don’t like to have barriers. I like to be like Clarice, if I can be. Completely open, and able to open a tangent and go on that tangent and come back. RG: It was important for me to figure out the conflation and also to figure out that certain things don’t work as paintings. Certain things don’t work in sound. Certain things don’t work as sculpture. You have to kind of find and let that thing be. Although, for the majority of my time making work, it’s either been drawing or painting. But there were times in Grad school that I stopped painting altogether and I just made sculpture or I made sculpture with sound. That helped me to pull back into painting and figure out things that I needed to take off. TSC: Is that because you were able to do those things that you were forcing into painting? RG: Not forcing into painting. 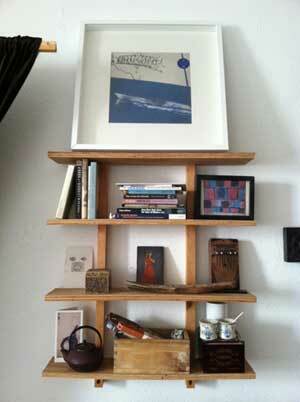 I just didn’t know how I wanted to construct these bookshelves that were like my psychic, psyche bookshelves. What is the inward of the inward of the inward? The sculptures helped me out a lot. I deal a lot with self-made folklore and I come up with a certain self-made storyline. Or, sometimes I do take things from books or poets and I sort of rearrange them together. I see in myself things that attract me philosophically, spiritually, poetically and then I follow that line in terms of the work as well. And so with a lot of the construction of those stories and the way that I was assembling those “bookshelves” I began to be able to go back to the paintings and see what I didn’t want to have in the paintings. The paintings were then beginning to have raw canvas. I would only gesso the areas that the things that I was going to paint in were. I just kind of ended up getting rid of any painting just to fill the space, especially painterly paint. There was such a ruckus about painterly paint- which is part of painting. And its a part of painting that I love too. That I still love to make. But something inside me just turned a little bit - in terms of thinking about painting just in that way. I think Antonio Lopez Garcia is a painter’s painter. I think that Velasquez is also. I think Agnes Martin is a painter’s painter as well and it is really hard to see the brush strokes in there or pushing the paint around. 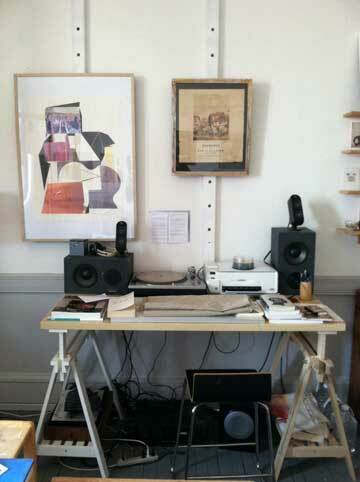 Agnes Martin is kind of like a salvation for me and Morandi. I think if I could shove them both back toward me those are my go-tos. TSC: Those are your main mentors? RG: I think there are a lot of people in between too. If I could take David Hammonds, Abraham Cruzvillegas [Damian] Ortega and shove Carlo Bove, Morandi and Agnes Martin and Lee Krasner, I think I’d be fine. 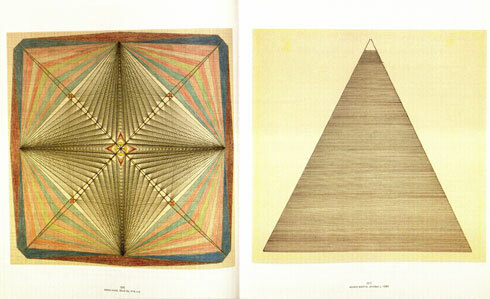 And Emma Kunz and Hilma af Klint. For me that is the dream team that I tend to cheer for. TSC: Those are the people hanging out in your imaginary room? RG: Yeah. But weirdly enough, at different times. There are times that I just look at Morandi, and Emma Kunz comes in and helps me out of that Morandi so that I don’t suffocate. TSC: You were talking about your practice and the role that sculpture played for you in Grad school and I was also wondering if you write. It seems like a lot of stuff [in your work] is very literary. So many of us are obviously influenced by the writing that we read, and we might love that it somehow becomes part of our work. But, I think in your work, because you are building narratives and kinds of fictions- even though you are not spelling them out necessarily- that it is a much more significant part of the work. When someone writes a screenplay for a movie, or a book even (depending on the author) and they are writing a character, they know something about the characters that is not in the book. Like, maybe these characters drank tea last Thursday and it's not in the book but it is necessary for the writer to know that they did that. TSC: And so I am wondering if writing has ever been a part of your practice and if it has ever been a front forward kind of thing. RG:It is but it took me a while to get back to writing because of being an ESL person. There was a huge disbelief in me that I could potentially write something. That not only, even if it was just for me, would express itself succinctly, but also would be “good” writing. I write poetry. Most of the poetry I write is in Portuguese. None of it is ever “out” or whatever. Sometimes when I start a project, I start writing about that person. Sometimes I'm in my car and I write on my phone. Sometimes I'm at home and I open a google.doc and I start with that. So, I have a plethora of unfinished stories. TSC: Figuring out, how do they [the characters] move and where do they go? RG: Yeah! And, what is this kid like? What's the protagonist like? I didn't think of them as protagonists, but they were protagonists because they were similar to me or similar to those that I was in love with. I think that is still transparent in the work that I do. But the stories never finished, I never got to finish the stories because I realized that I wasn't interested in the terminus of the story. I was interested in fleshing it out to a certain point, and in the painting it happens to that point. In the painting it happens exactly like that. There is no end. The painting takes you inward and the painting takes you around it. The paintings don't necessarily say “OK, this is the beginning of the work, this is chapter one, this is chapter thirteen- the final chapter.” There is none of that. With painting there is a cyclical notion about them. There is an emotional push and pull with painting, that you can get inner and you can come back around and back and forth even when you’re looking at a show. With a book you know you read the last chapter. Yes, you can go back and figure out more about the stories in the trajectory. TSC: Yes and you might find some things that you missed or think about differently, but when you read something like a phrase “pink curtains” there is obviously that, that opens endlessly into pink curtains. But, at the end of the day, you go onto the next line. “Yes, pink curtains, keep moving.” And with painting you don't have to do that. You don’t have to move to the next necessarily. You can keep going with that idea. TSC:I was totally thinking of Murakami! TSC: Yes! Yeah, Initially I was thinking about magical realism because of the concern with history. But, I thought of Murakami because he is so much more surreal, so much weirder and and a brain just does something a little different with his writing. RG:Those books are really interesting because they feel like the writer almost knows that he can't end the book because the story, the Kierkegaardian journey, is more interesting than getting to that thing. TSC: So he just lets himself be bad at endings. Is this your theory? RG: I don't know what it is. I think he might just be like, “This is how you have to end it,” because that middle of that book or let's say the duration of that book is very painterly. There is a portion of Wind-Up Bird Chronicle that you don't know when he is going into that woman's room and when he is coming back into the well. At one point you don't know how the hell that mark got on his face. That to me is writing that i'm interested in. [Gabriel Garcia] Marquez as well. This notion of [having to] keep going back to the beginning of the book to figure out the lineage of the family. TSC: Even then, there is a way in which you’re not actually “figuring it out.” With him it’s that sometime you could draw a kind of map and then you would actually know who is who and who’s connected and how. But in the process of reading, so much happens that unless you are gonna really be like, “I am a Marquez expert,” you are not going to necessarily do that, especially when you're reading and you want to keep reading. TSC: So that is the whole mental thing which is happening and I think that is why I was thinking of magical realism. It's about the history, but it's also the history of these things, these characters, these moments in time. We so often tend to simplify so much. Even when we’re trying hard not to simplify it we just forget so much, leave so much out about the inner workings of someone’s psychology or their emotional lives. I think that literature and painting can give that back to us in some way, which is really great. RG: It is. To me the highest form of art is poetry. However, I'm not just speaking about poets who write words. Octavio Paz is a poet that I like that I enjoy reading and whose work I love entering into. That milieu, that, to use the word, metabolism, again. I think Morandi is poetry. I think Cruzvillegas is poetry. I think Agnes Martin is poetry, Hilma af Klint is poetry. I couldn't necessarily put a hierarchy about it, “Here's poetry, then here's storytelling and painting tied in second place,” because it's all much closer than that. Poetry, storytelling and painting are all in the same place, space. For me what is happening is....I just let everything collapse and conflate. Not only has it given me freedom but it has allowed the work to grow exponentially for me. I am able to enter into areas that I am interested in that I'm not gonna bar myself from exploring. If this is to be sound, it is sound because of something within my architectural metabolism that is telling me that that is what it is.